Big news from Mercedes-Benz today concerning three of their new products. According to reports, the U.S. will miss out on the street-legal Mercedes-Benz SLS AMG GT3. The powerful edition will only be available in Europe, as their motorsport division is based across the pond. Also AMG&apos;s far-reaching SLS E-Cell project will not make its way to the States. It&apos;s not all bad news for us Americans, as we will certainly receive the Mercedes-Benz SLS AMG Black Series. Though it hasn&apos;t been officially confirmed, comments made by AMG&apos;s Head of Vehicle Development Tobias Moers have clearly indicated plans to bring the car to the U.S. He told Motortrend: "We absolutely have to do a Black Series [for the U.S. Market]." The SLS E-Cell project will not come to the U.S. due to what AMG perceive as financial restrictions. 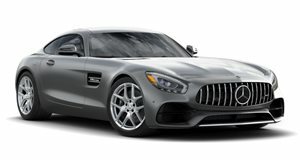 The 2013 model electric sports car will arrive on the market next year and is unique compared to AMG&apos;s other offerings. In addition to not packing an AMG hand built V8 engine, the car will gain an extra thousand pounds from several electric motors and a seriously heavy battery cell. Weight saving measures have also been taken, however the weight added and saved still nets an 800lb gain. The aforementioned electric motors will churn out roughly 525hp and 650lb-ft of torque. "AMG does not do money losing projects. We can&apos;t afford to," commented Moers. This is due in part to the planned limited production volume and the cost of certification in the U.S.